1. What are Practical Explorations? If language teachers are developing their own classroom skills and would like to try out new ideas in lessons, Practical Exploration projects can be helpful. A good place to start off a Practical Exploration is to pick a teaching focus that is important to you, and that you’d like to explore in more depth in your teaching. Increasing numbers of teachers are undergoing professional development training to learn how to deliver Practical Exploration Projects (PEPs) and are then putting what they have learned in the training sessions into practice in their own specific context and evaluating it. 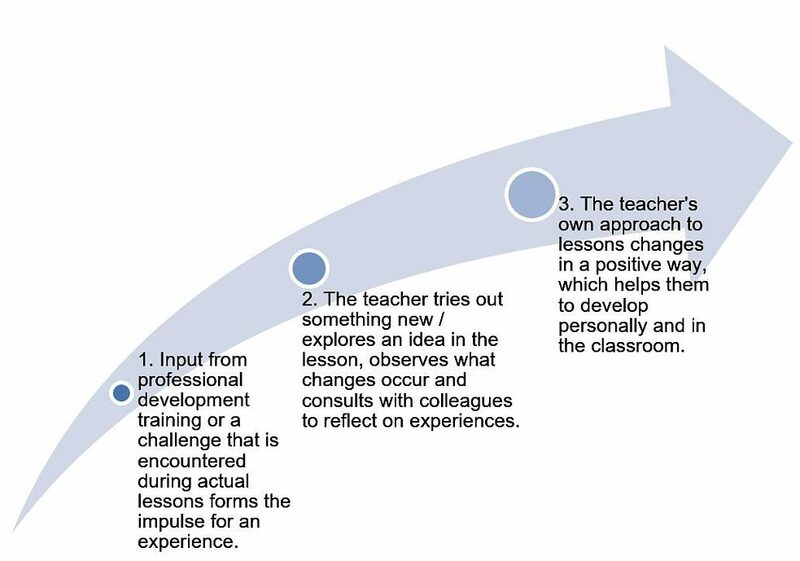 As a result, Practical Exploration Projects (PEPs) are instruments of lifelong learning for teachers, who bring about their own positive changes in their capacity as experts in their teaching field. pupils summarise their study of a work of literature in the form of a news programme. What their learners had taken away from the school reading book, and how they would reproduce the material they had learnt in the “news in brief” text format? Whether processing this content in the form of a smartphone film would pose a challenge to the learners’ creativity and therefore their motivation to work together on the task? How the students themselves would rate this previously unknown learning activity (learner questionnaire)?For this project, each of Monica Acler’s colleagues carried out the activity with their own learner group, analysed the resulting films with the set learning targets in mind, observed the group tasks in detail, and asked their learners questions after they had presented their videos. At the end they discussed their experiences of the Exploration Projects. Practical Explorations need not always be documented comprehensively or discussed with colleagues. However it’s important that the starting point for the exploration is of real interest, and that the effect of a new classroom activity or learning resource is directly observable. If you are then surprised – like Monica Acler and her colleagues – because you (or a colleague who observes an activity on your behalf) can identify precisely those positive aspects in the lesson that you had set out to achieve, then that’s probably a good reason for you to choose a completely unexpected text form more often, and rely on your students’ media skills. In other words, Practical Exploration need not be too complex. If you’re interested in understanding how a Practical Exploration Project is developed, you can follow the sample tasks shown here: the idea is to practise ad lib speaking in the German lesson. Follow the work steps and do the exercises. This enables you to learn how a PEP is developed by looking at a ready-made model. Anglicist and education researcher Prof. Michael Legutke explains in an interview why practical explorations are so effective: according to Legutke, the most effective approach is for teachers to develop their own lesson material – because they are the experts in what they do, and are in a position to evaluate which strategies actually promote learning. That’s why professional development should always start from the premise of what is currently being taught, and teachers should be encouraged to try out and evaluate new things they have learned in their own context. Monica Acler is a teacher of German as a Foreign Language at a high school specialising in modern languages in Trento, Italy, and has already carried out several Practical Exploration Projects. 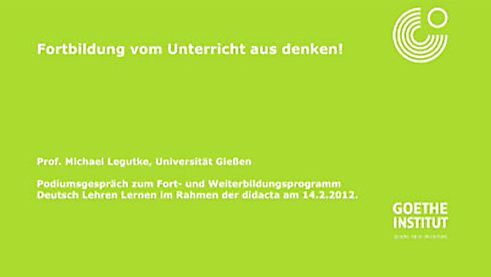 Dr. Imke Mohr is a regional coordinator at the Goethe-Institut in Germany and organises professional development training for teachers from overseas, which is delivered at the Goethe-Institut centres in Germany. She was involved in the development and implementation of the Deutsch Lehren Lernen, training programme, which systematically incorporates Practical Exploration Projects.